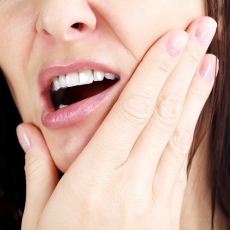 Jaw pain may go away with little or no treatment. Treatment may include simple things you can do yourself, such as eating soft foods or applying ice packs. It may also include pain medicines or devices to insert in your mouth. In very rare cases, you might need surgery. Article: Oral Appliance Therapy and Temporomandibular Disorders. Article: Rheumatoid arthritis in temporo-mandibular joint: A review.